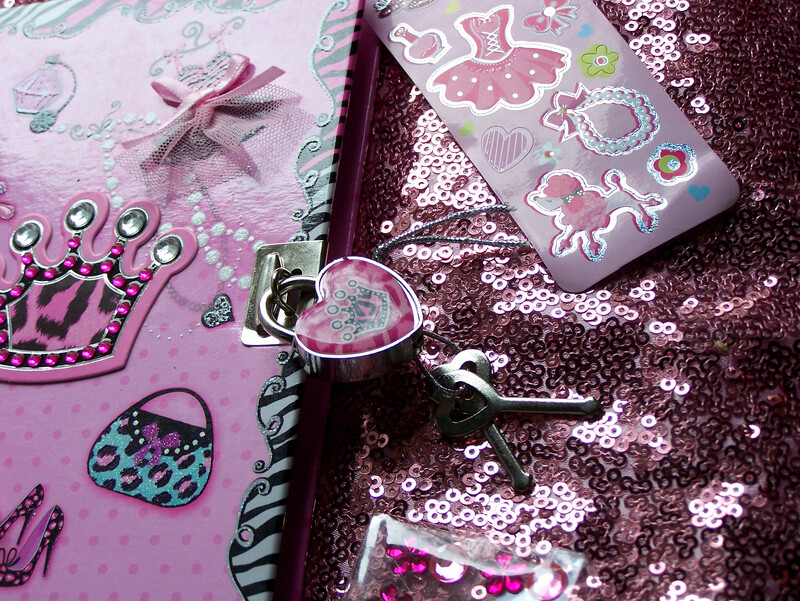 SmitCo Review by Jenna Osborne | Locking Diary for Girls with Feathered Pen and Stickers! When you have a house full of girls, privacy can be at a high premium. I love the princesses, but I have to admit they are a bunch of nosy little snoops. That means I get to listen not only to the whining about privacy being invaded, I also have to endure the endless tattling on each other over info found by sneaky means. I’ve tried explaining that unless it’s life-threatening (to the child or someone else) I don’t want to hear it. But, well, young ladies do persist. These diaries from SmitCo. are a nice solution to part of my problem. Not only are they completely adorable, they also feature a sturdy heart-shaped lock to guard the burgeoning secrets of the young girl set. The lock has a pink crown and comes with two heart-topped keys that could easily be worn on a necklace or hidden away safely. The diary itself is small enough to easily be tucked into a purse or backpack, yet not annoyingly small. It has a substantial hardback cover with a whimsical design. Swirls of zebra print and polka dots frame a scattering of girly accoutrements, such as the Eiffel Tower, perfume sprayer, dress form (with a dimensional skirt and pink bow) , shoes, purse, mirror, and at the center another large crown decorated with glittering jewels. This also comes with cute accessories, including a pink feather-topped pen, a sheet of shiny metallic stickers and a sheet of stick-on jewels. 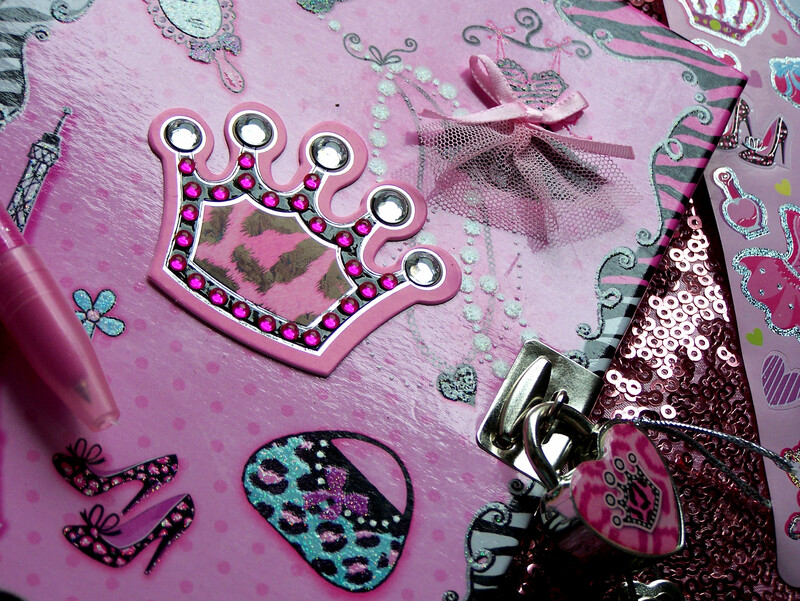 Girls can use these to decorate their diary entries or further personalize the cover. It’s a sweet gift set that would make a perfect gift for birthdays or any holiday. SmitCo offers a variety of other cute gifts for girls and teens, from kits for tattoos, nail polish, scrapbooking, to heart and cross pendants and dress up clothes.